The first look of the much-anticipated movie Chhapaak, based on the life of acid-attack survivor Laxmi is finally out. Deepika Padukone, who plays the lead, has surprised everyone with her look as Malti, the character based on Laxmi. The image of a smiling Deepika as Malti obscures the tragedy that the character has undergone. While the makeup artist has tried to replicate the scars of the acid attack, the mental agony and physical that an acid-attack victim undergoes perhaps cannot be essayed by even the most accomplished actors. The consequences of acid attacks don’t stop at the skin. They go beyond that. Who is Laxmi Agarwal, The Acid-Attack Survivor Played by Deepika Padukone? Acid attack is a violent form of assault where the perpetrator throws acid on the victim’s face out of a sense of revenge. Corrosive substances such as hydrochloric, nitric or sulphuric acid are usually thrown at the victim. The intention is to either kill the victim or maim him or her for life, usually as punishment for romantic rejection. 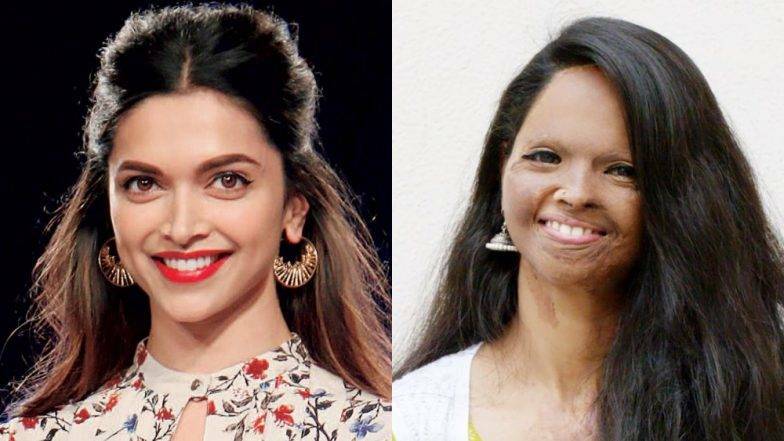 Here's What Acid Attack Survivor Laxmi Agarwal Has To Say About Deepika Padukone Playing Her In The Biopic. The attack leaves the victim with grave physical deformities like burnt skin, exposed bones, blindness and permanent scarring. And some of the psychological and social impacts of acid throwing are also long-lasting. Such attacks are commonly seen in India, Bangladesh, Pakistan, Afghanistan, Nepal and Cambodia. Even developed countries like the UK have been seeing a spurt in acid throwing in recent years. While it’s not necessarily a gendered crime, 80 percent of the victims are women. In India, acid attacks, especially on women are due to the perceived inferior status of women in a male-dominated society. Acid sales are also not regulated in India where anyone can buy them for cheap. Till recently, there were no laws against acid attacks in India. But Section 326 A in the Indian Penal Code was introduced in the 2013 Amendment Act that punished acid attacks with 10 years of imprisonment. Acid is a corrosive agent, which reacts violently with water, causing an exothermic reaction. Human skin is 60 percent water. So when acid is thrown on it, it reacts with the water, increasing the corrosive action of the acid. While it rarely leads to death, acid can “melt” the victim’s skin and hair, trickling down to fat and muscles. Victims can be blinded if the acid comes in contact with the eyes. Sometimes, they can’t close their eyelids, causing dry eyes and eventual loss of sight. Acid can also breakdown the cartileges, sealing the nostrils shut and reducing the ears to stubs. Acid can also affect the bones, leaving them exposed. The mouth can get deformed, which interferes with day-to-day functions like eating and speaking. Inhaling the powerful fumes of the acid can also permanently damage the airways of the victims. The victims are also at increased risk of septicaemia, kidney failure and even death. The psychological impact of acid attacks is often as long-lasting as the physical ones. Victims of acid assaults often face psychological problems such as anxiety, depression, fear, low self-esteem, self-consciousness and suicidal ideation. Many of the psychological aftereffects of acid-throwing are worsened by the social isolation the victims face. They are usually gawked at or ridiculed for their deformities, which makes them live like recluses. Victims also don’t find employment due to their physical deformities and crippling fear of being judged. It takes a lot of survivors to rise from their tragedy and live their lives again. With role models like Laxmi and others, acid attack survivors are slowly finding the strength to face the world with dignity and confidence. Let us hope that movies like Chhapaak also changes the way the world perceives survivors of acid attacks.